You Need a Selfie Photo Shoot. 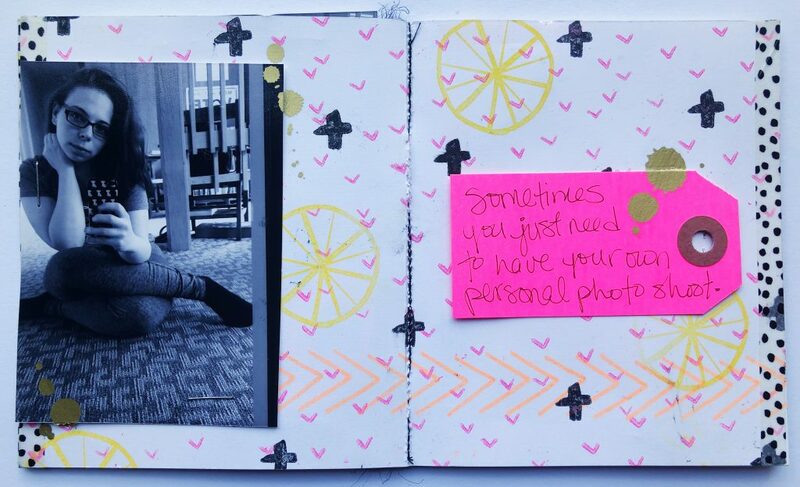 Here’s How to Scrapbook It. I love selfie photo shoots. When I’m taking my Thursday3 photos each week, sometimes I’m really enjoying the photo-taking experience, or I’m getting a bunch of great photos and I get several pictures from the same session that are worthy of saving. It can be a little bit awkward to figure out what to do with six or seven pictures of yourself in the same clothes sitting on the floor of your living room in slightly different clothes. But I took it as a challenge and tried to figure out what I wanted to do with this handful of photos that I really loved. Right off the bat, I knew I was going to change these pictures into black and white because I wasn’t into the color combo between my clothes and the background of my photos *and* the white balance was off in all of the photos. Instead of fine tuning everything, I just converted everything to black and white. Knowing my pictures were b&w — I was able to really experiment with the rest of my project. 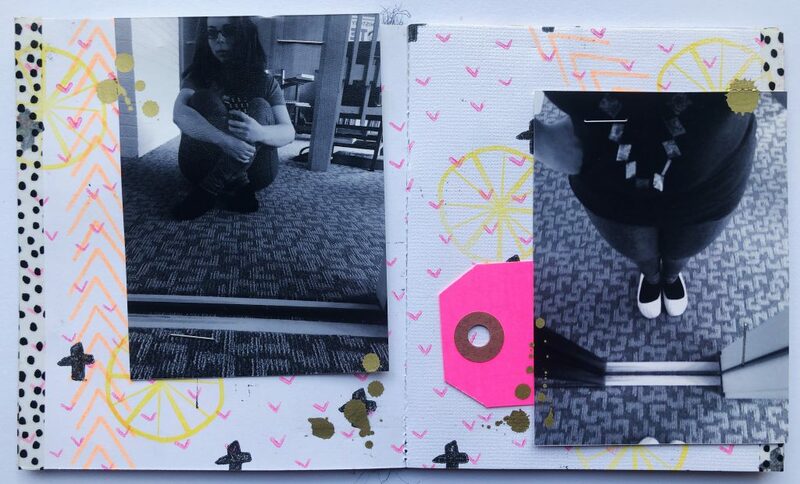 I decided that I was going to create my own mini album out of patterned paper I was going to make with white cardstock, some Ashley G for Studio Calico background stamps, and three colors of neon ink. 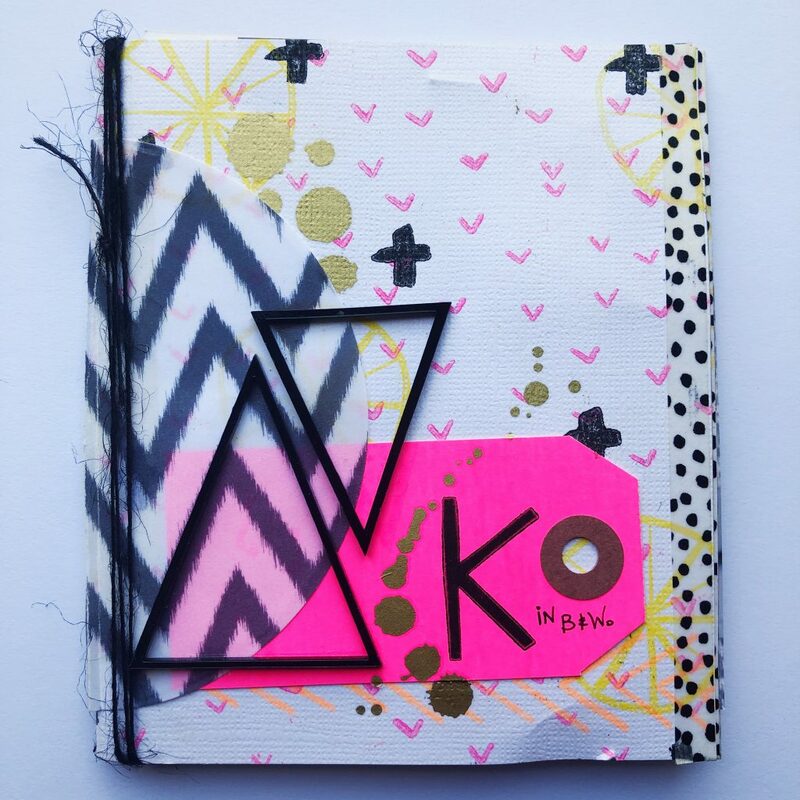 After stamping the cardstock pages, I stitched together this book with my sewing machine and then embellished it further with washi, tags, cards, more stamping, and my own journaling. 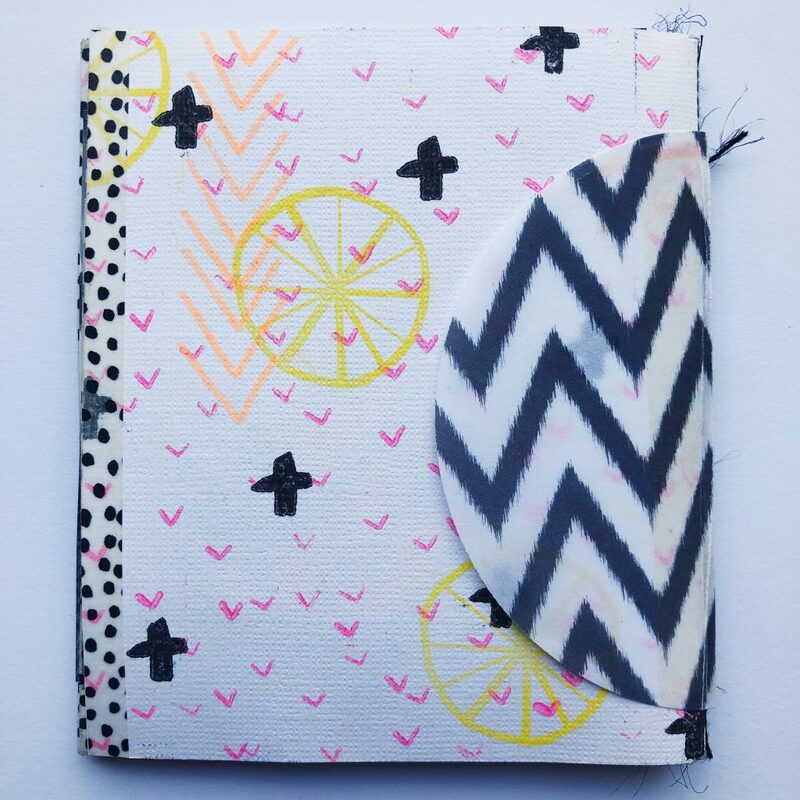 I absolutely loved playing with these bright colors and these fun patterns. 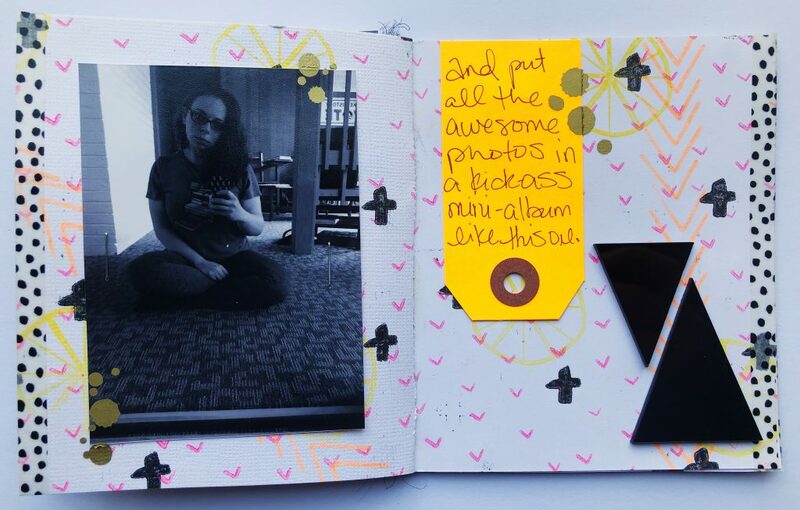 It made me so happy to make this album, put my photos in it, add some gold, it’s just fun. And that’s what playing around with pictures of yourself should be sometimes — just fun. Black & white photos look awesome with bright colors. Use this to your advantage. 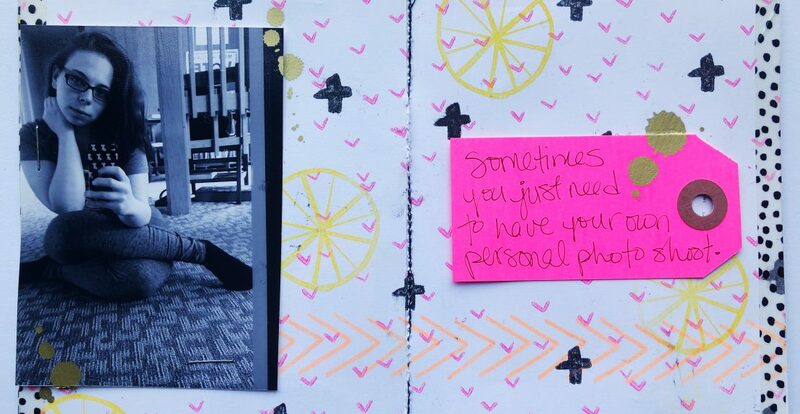 You can make little scrapbooks with your selfies just to make you feel good about yourself. 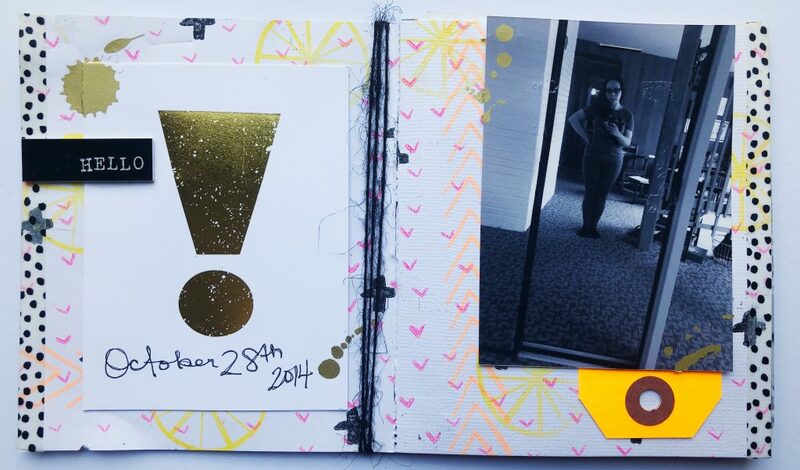 Not every scrapbook has to be made to say ‘this happened here and why’. Pick out three colors for your stamped patterned paper creation. You’ll never go overboard or be too subtle. You can always add more stamping as embellishment later on.